Some people may call be old fashioned, but I still believe in hand writing thank you notes to people. If someone takes the time to give you something special, the least you can do is write a note and add a personal touch. I think I owe this to my mother. She taught me to always write my thank you notes quickly and then I could use my new gives or deposit my checks. When we got married, I had my letters out to people within two weeks of getting back from our honeymoon – not too shabby! When I was teaching, I made sure to mail notes to any student’s at their homes. If it was winter break, I wished them a Happy New Year. When it was the end of the year, I thanked them for a fun year and wished them a wonderful summer vacation. On the flip side, I also worked with my students on the art of letter writing. We read The View From Saturday by E.L. Konigsburg (love this book for so many reasons) and talked about the importance of a good "bread and butter" note. We thought about people in our school that helped us a daily basis that could use a nice thank you and wrote them notes to brighten their day. It was always interesting to see who the kids would select from within the building. Since the boys are still little, I am the author of their notes. NHL is getting to the point where he can do them, but larger amounts of notes can be too much at six. While I was writing the notes for JSL on Wednesday, I decided to get him involved. I left space on the bottom of the note for him to draw a picture for the recipient with crayons (act surprised everyone when you get them). As I handed the card to him, I told him who it was for. He would shout out their name and immediately begin a special creation for them. When JSL was done, the card came back to me to go inside the envelope. He was so proud that he helped Mama. I guess getting the kids involved in thank you note writing as young as possible is a good thing. 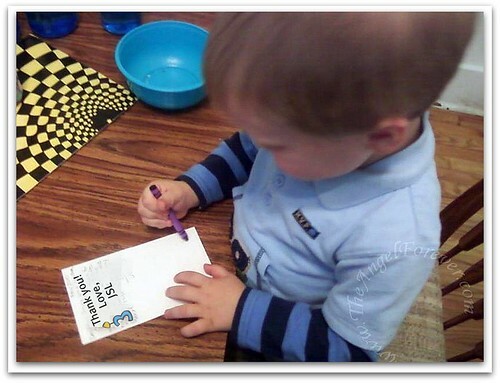 Do you hand write (not e-mail) thank you notes to people? Why do you or don’t you write them? P.S. 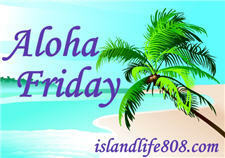 This is my 100th Aloha Friday – I think I need to write Kailani a personal note to thank her for all of these weeks of fun! It depends sometimes I will hand write a thank you note and other times I will email one. I prefer to send a handwritten one. I am horrible about Thank you notes, :( I try super hard when I don’t see the person who gave me the gift. .-= Susan´s last blog ..May 19, 2010 =-. I still send thank you notes. I even still hand write letters! I’ve always done this so I enjoy doing it! I also love receiving stuff like that because it always can make your day better! Have a great Friday! .-= Natalie A.´s last blog ..KAMsnaps $30 Gift Certificate Winner =-. When its a thank you note I usually hand write them because then they know that you didnt just copy and paste it and that you actually spent time to thank them. I have to send the notes asap or I’ll forget to do it. I once read that Princess Diana would have the Thank You note ready do go when she would leave for a function. 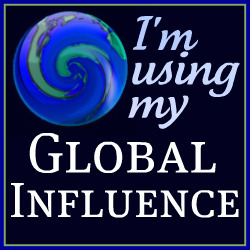 .-= Harriet´s last blog ..A Breath of Fresh Air as Bloggers Unite :) =-. Now I am going to have to see how many alohas I have done! Good for you for reaching 100. I agree with you, thank you notes are much needed and a lost art. I admit, though I don’t do it often enough. I email now and hope that is good enough. 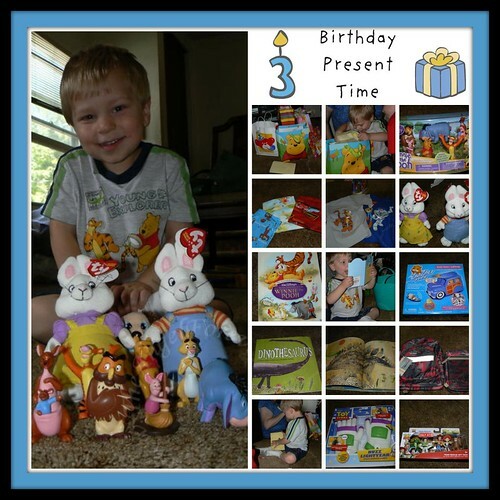 I love the Winne the Pooh figures…adorable and sweet birthday boy! I do try to write thank you notes myself every chance I get. It’s more personal and says I care. Yes I do and I do it because I feel it’s more personal. I’m really bad with thank you notes!! I hand write them. Just more personal. Love receiving handwritten notes. .-= Auntie E´s last blog ..My Vintage Sewing Room Project. =-. .-= Thom´s last blog ..Aloha Friday – #135 =-. I do hand write thank you notes. I have a couple of people that would be offended if I did not. For the others I think it’s a nice gesture to acknowledge their thoughtfulness. I don’t expect or feel the need to get thank you notes myself, unless I mailed a gift and it just confirms they received it. Like my husband’s college roommate got married and we sent $50 in gift certificates and they never sent a thank you, so I wonder did they even get it or did they get lost in the mail. .-= Tatum´s last blog ..Aloha Friday May 21st =-. I hand write thank you notes for big stuff – weddings and baby showers. My family really doesn’t do thank you’s for anything else. I also don’t expect thank you’s unless I didn’t personally deliver the gift. I sent a wedding gift/baby shower gift for a cousin’s wedding, and I’ve never heard if they got it. I still wonder if they looked in the bag to see the other gifts – or if they got them in the first place. 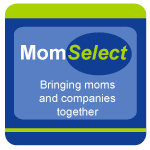 .-= Sarah O.´s last blog ..What should my daughter wear when she’ll be in a baby carrier? =-. If that isn’t the sweetest picture!!! Yes I hand write! That still is the most personal way to me!Aloha and have a great weekend! I HATE my handwriting so I hardly ever handwrite anything…. & I’m horrible at thank you notes but will tell you ty at least a couple times. .-= Jess´s last blog ..Aloha Friday – Drinks =-. .-= Shannon (The Mommy-Files)´s last blog ..“Avatar” DVD Review =-. I hand write thank you notes because it’s more personal and regardless of how many thanks I gave at the event or for the gift it shows I care. .-= Cuzinlogic´s last blog ..Book Review & Giveaway: The Cradle by Patrick Somerville =-. I always do hand-written notes. Sometimes the card has a photo or something “standard” on it, but it’s always personalized. Yes!!!! I am a stickler for writing thank you notes, and I am now starting to make my kids write them, too (instead of me writing for them). They complain and whine – as I did at their age – but I feel this is one thing that they absolutely MUST do. Showing gratitude is an important skill to learn. Good question! .-= Smellyann´s last blog ..Monday Steals And Deals =-.